I took a picture of this sign yesterday in a McDonald’s In North Point, Hong Kong. 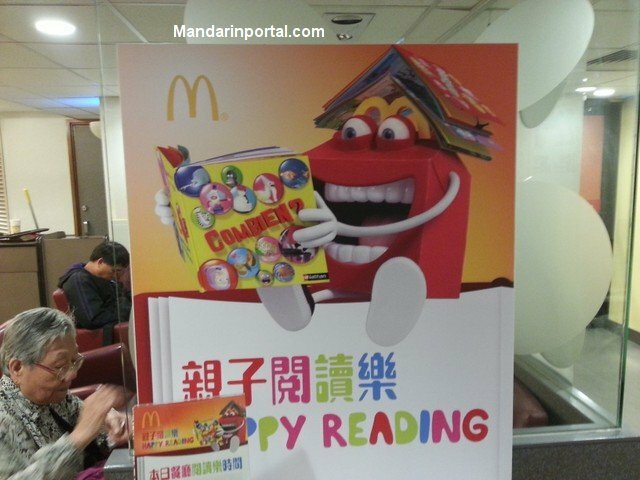 Some McDonald’s in Hong Kong have a small reading section, which I find very interesting. I took a picture of this sign outside the Central Library in Hong Kong today. 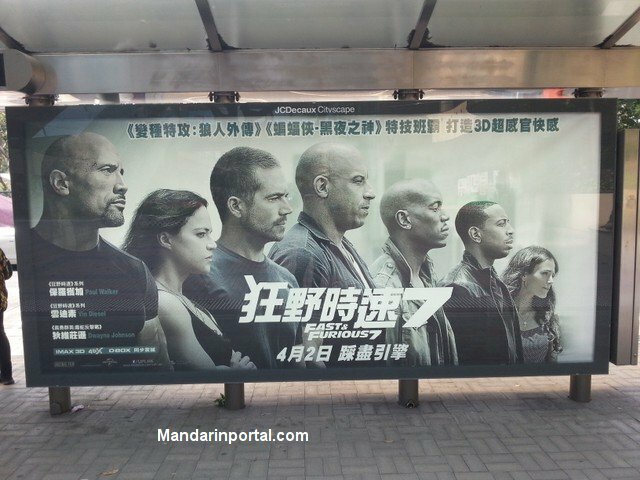 The Chinese name for The Fast and The Furious 7 is 狂野時速7. In Mandarin Pinyin, it is kuángyě shísù. It is interesting to also note how the various actors have their names transliterations into Chinese. I bought some new black and colour ink cartridges for my HP printer last week in a computer market in Shunde, Guangdong, China. Here are some pictures of HP ink cartridges in Chinese. FYI, HP’s name in Chinese is 惠普. 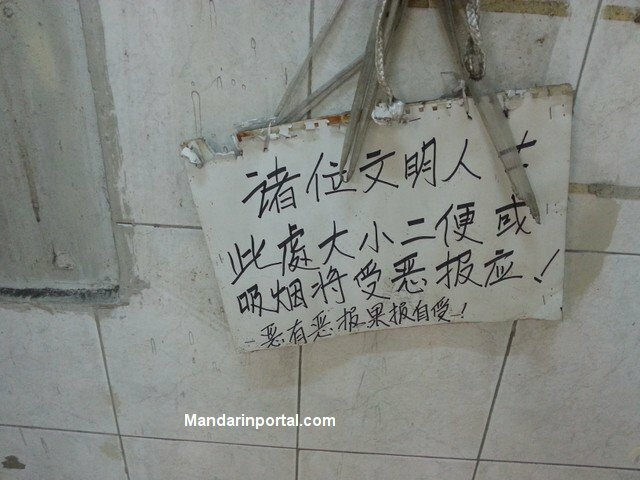 hui4 pu3 in Mandarin Pinyin. 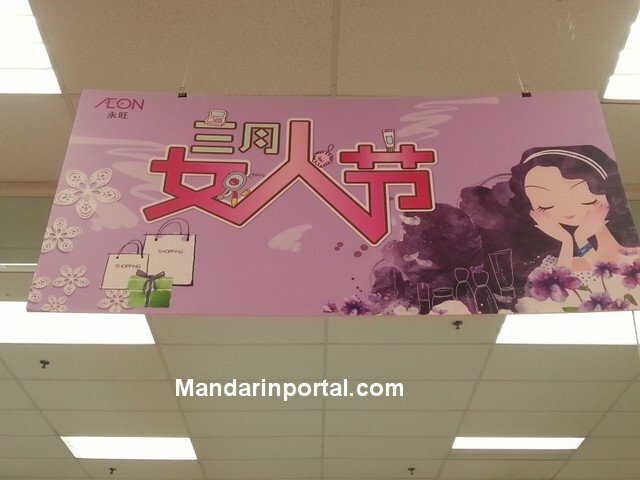 I took this picture an Aeon (formerly called Jusco) in a part of Foshan, Guangdong, China on 03 March 2015.